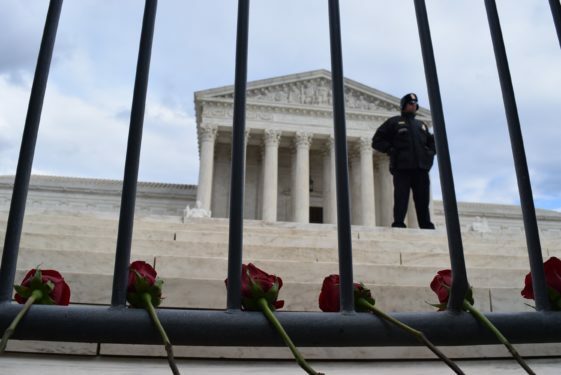 WASHINGTON (CNS) – The Supreme Court ruled 5-4 June 26 that a California law that placed requirements on crisis pregnancy centers that oppose abortion violated the First Amendment. The state law in question is the Reproductive FACT Act, which says pregnancy centers must post notices in their facilities about where low-cost abortion services are available and also must disclose if they have medical personnel on staff. During the oral arguments March 20, some of the justices expressed concerns that the law might be about specifically targeting crisis pregnancy centers instead of providing information about abortion, and the decision mentions that, if the goal of the law were merely providing information about abortion to the public, that goal could be accomplished in more effective ways that do not require speakers to deliver unwanted speech. “The Supreme Court today has affirmed that the First Amendment protects the right of all organizations to choose for themselves not only what to say, but what not to say,” he said.